When it comes to maintaining our homes, we tend to focus on the things we can see every day—like flooring, painting, and appliances. We can tell when they need a good cleaning, a touch up, or when they’re on their last leg. Roofing? Now that’s a different story. Most of us don’t consider the condition of the roof until we notice a problem. Your roof and your home are big investments. That’s why every homeowner needs to know how to protect their investments by avoiding common mistakes. 1. Why pay a professional when I can do it myself? Let’s face it, we all want to save money on home maintenance and repairs. And there are times when a little elbow grease on your part can save you money without sacrificing (too much) quality. Not so with much with bigger projects like roof installation. Roofing is a complex job that requires professional training. An improperly installed roof can result in damage to your attic, walls, and even foundation. And then there’s the safety issue. Even seasoned do-it-yourselfers underestimate the danger of taking on a roofing project themselves. In fact, roofing is rated as one of the top ten most dangerous jobs, according to a 2017 CNBC article. There’s more to a roof than shingles. A roof is made up of several layers that work together as a system to protect your home. Proper installation of each component protects the roof, attic, walls, and foundation from wind, rain, ice, heat, and humidity. Deck: The main wooden structure. Underlayment: A layer installed under the shingles to keep the deck dry. Flashing: Material used to deflect water away from seams or joints around chimneys, exhausts, etc. Vents: Items that optimize air flow through the attic to keep the roof dry. Drip edge: Material along the edge of the roof that guides water to the ground or in the gutters. Soffit: The area underneath a roof overhang. Fascia: The horizontal roof trim on the end of the rafters that often holds the gutters. Even if you don’t decide to tackle a roof installation or repair yourself, it’s important to understand the whole roof system when hiring professionals. 2. I’m going to go with the company with the cheapest price. Hiring the lowest bidder for your roof installation is a dangerous move. What may appear to save you money in the short-term will likely lead to long-term trouble and costly repairs. Whether you’re choosing a contractor for repairs or for a complete roof installation, there are some key questions to ask. Any reputable roofing company should be willing to answer your questions in detail and in a professional manner. Insurance. Before moving any further with a potential roofing contractor, make sure the company carries both liability and workers’ compensation insurance. Protect yourself from the very beginning. Credentials. Determine the credentials of the workers employed by the company. Are they licensed or certified? Warranties. Will the material used come with warranties for product and labor? Who is responsible for paying for the replacement of defective materials? Experience. How long have they been in business? Are the workers seasoned? References. Ask for references you can call yourself. Don’t rely on online reviews. Professional advice and recommendations. Reputable companies should offer advice and product recommendations specific to your home situation. 3. My roof is showing some signs of damage, but I think I can squeeze out a few more years. Holding off on replacing an older product that no longer performs well can cost you more money in the end. Think cars, air conditioners, and furnaces. Well, your roof is in the same category. Waiting until you see obvious signs that it is in need of repair—water stains, sagging attic ceiling— is not necessarily going to save you money. In fact, the damage it may cause to your home can cost you big bucks. When a roof is approaching 10-15 years of age, you should consider replacing it. Homeowners should be on the lookout for preliminary signs of damage, such as shingle edge curling or missing shingles. 4. I don’t clean the gutters that often. What harm can it really do? 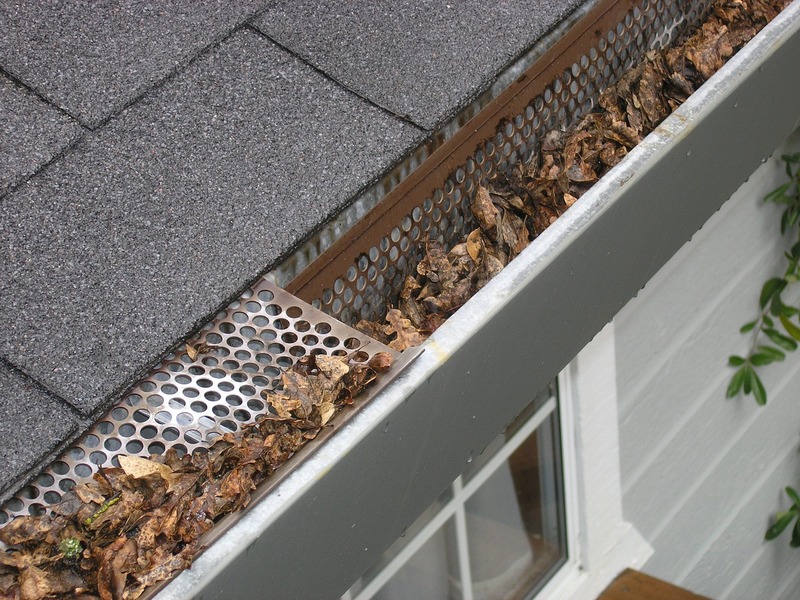 While you probably know that you shouldn’t let your gutters get clogged, you may not know why. Clogged gutters can surprisingly cause a lot of damage to your roof, attic, and foundation. Clogged gutters can cause the most damage in the winter. You know those pretty icicles that hang off the roof’s edge after a snowstorm? They’re the result of “ice damming,” caused by clogged gutters, and can wreak havoc on your attic and roof. That’s why autumn is one of the best times to have your gutters cleaned or have gutter guard installed before the winter months. Think it’s time for a new roof?